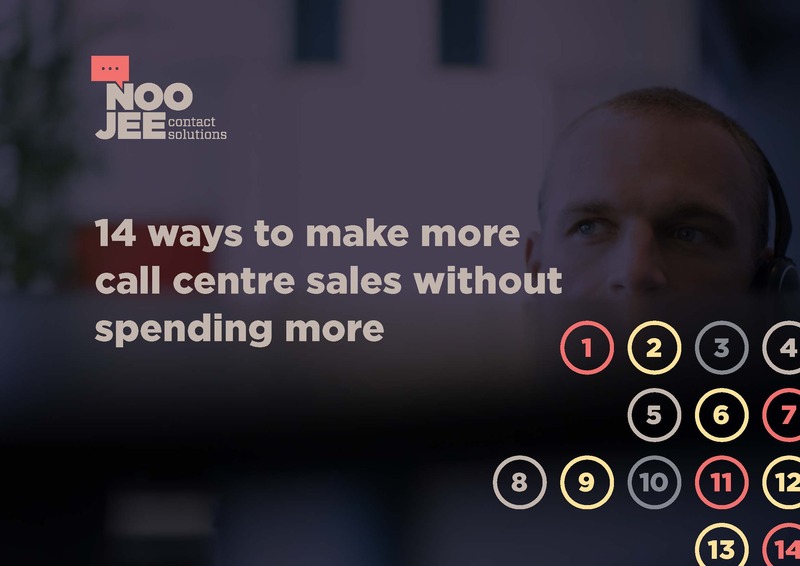 Thanks for downloading 14 ways to make more call centre sales without spending more. We hope you find this ebook useful in showing you how you can be creative with your resources, more efficient with your time and more effective with your staff. You can access the file at anytime right here, or by clicking on the image. This ebook is just one resource we’ve created to help contact centre managers like you. Be sure to check out our blog to learn more about ways to motivate your staff, improve performance and smash those sales targets. Want to learn more about Noojee and how we can help you grow your contact centre? Get in touch!